One of the biggest challenges of studying abroad is obvious: packing. 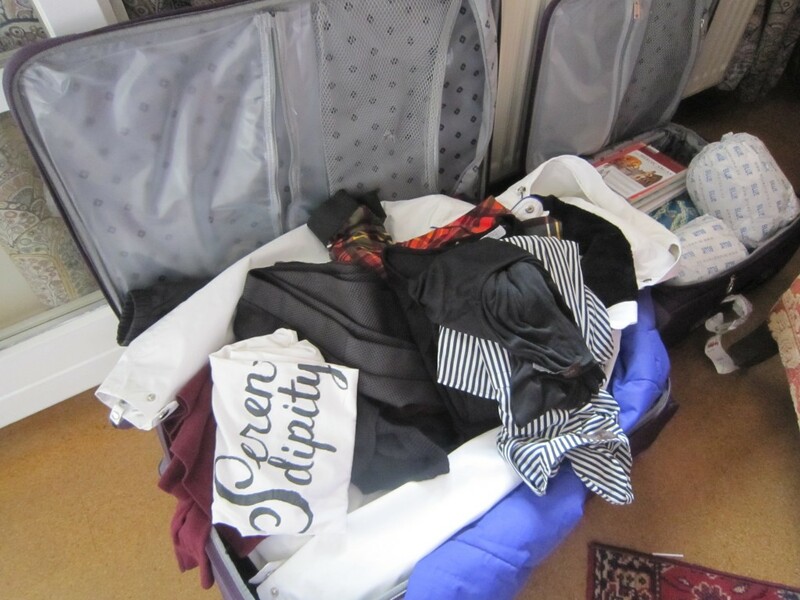 Packing to come over to Europe in the first place took me months… literally. I packed, and repacked, and repacked again. I weighed my luggage countless times. My portable luggage scale became my best friend and most cherished object for a good two weeks. Packing for weekend trips throughout the continent has also been a challenge. Which bag you take depends on many factors: how stylish you will attempt to be, how clean you want your clothes to be, how long you will stay, how cold the climate of your destination is, which special clothing you would require… the list goes on and on. Even deciding how much luggage you are willing to lug around becomes a genuine problem. Today I am beginning to pack for my return home to Texas… and it feels completely unreal. It feels like just yesterday that I was kicking and screaming over the fullness of my largest suitcase to come here back in September. Going through all my things, I have begun to reflect on what I am bringing back with me. What items are most special to me, most representative of my time here in Austria? 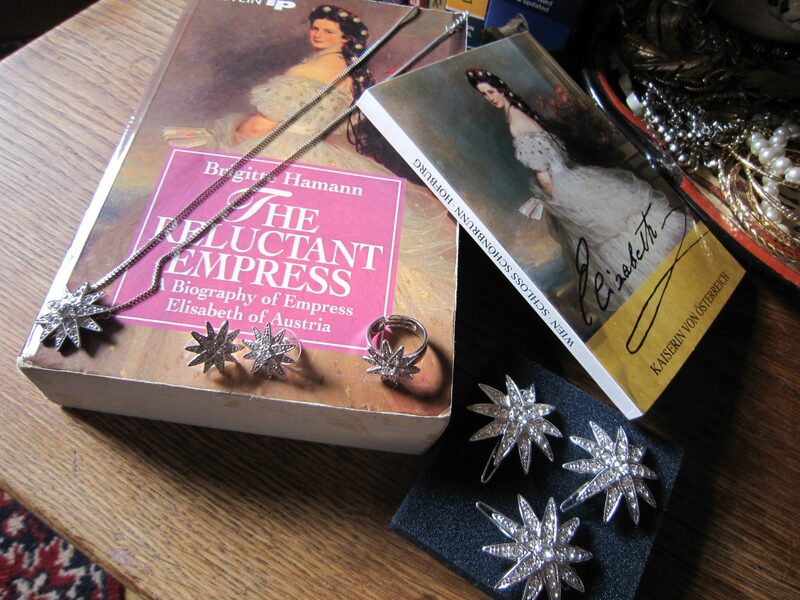 If an object can embody an experience, which ones have I chosen? When I came to Austria, I found a lot of comfort in visiting countless bookshops around my new home. Within the first week, I am pretty sure I had visited them all. My main goal in this search was to find the most beautiful copy of Grimm’s original fairy tales (auf Deutsch)… and my friend Sybille happened to find it for me in what is now my favorite bookshop in Salzburg. 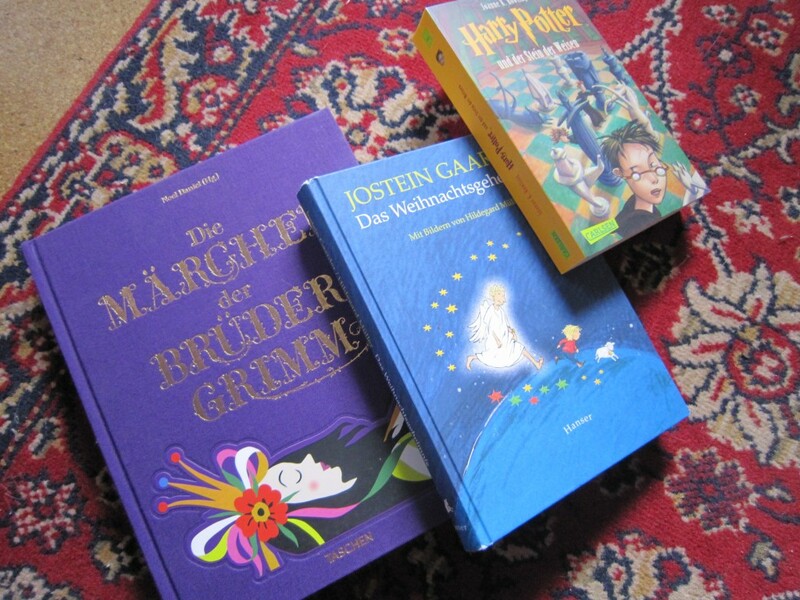 These books remind me of the time when learning the German language was my most interesting hobby. A time when I was thirsty for knowledge, and when I sought it out on my own. This ring was my first “souvenir” purchase in Austria. Every time I make a large trip to another place, I try to come home with a ring that can represent that experience. I have rings representing Ghana, Alaska, France, New Mexico, etc. etc. etc. When I choose to wear one in the morning, I take a moment to remember the trip, the lessons I learned there, and the encouragement that such memories bring. 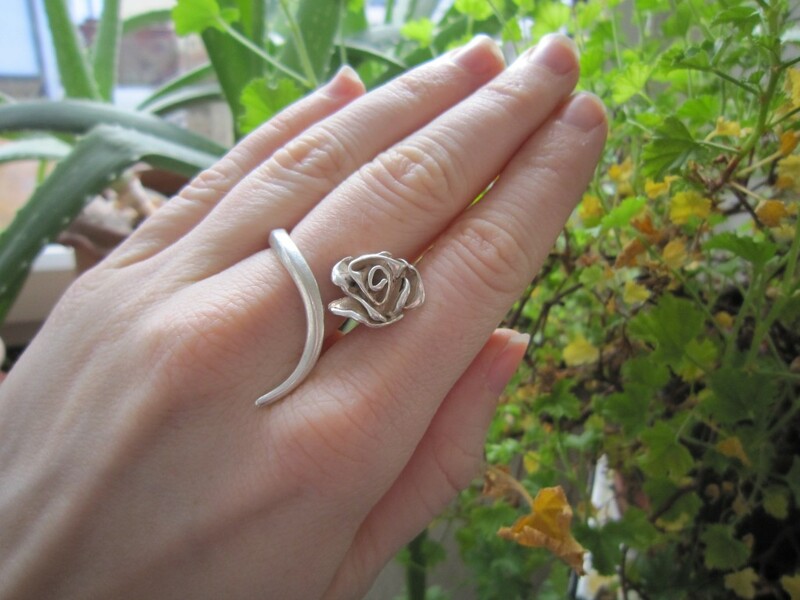 This ring was created by an independent silversmith that I found at an arts market in the beginning on my semester here. I saw it, and immediately knew that this was the ring that would represent Austria for me each time I wore it. I fell in love with its unique shape, and also with the symbolism it provided for me. The lotus flower is revered in Asian cultures for growing out of deep mud, and blooming into a pure brilliantly white flower. One of my favorite artists used this analogy to describe the creative process. To me, this image has become my personal philosophy for these few months. I was struggling through so much mud when I escaped to Austria. I was hoping that my trip here would be a time for me to heal, recover, and move forward with my life. So far, I have very much succeeded. Some of my mud remains. Sometimes I wonder if it will ever truly go away and leave me pure as snow. But I cannot deny the growth that I have experienced this semester. My lotus is growing undeniably out of the mud of my past. This ring to me represents this growth. Looking at these souvenirs brings a big smile to my face. Seeing these things reminds me of my surprise at finding a historical figure that I really and truly admire. They remind me of a way that history became incredibly real before my very eyes. Sisi seemed very alive to me as I read her diary entries, walked through her palaces, and visited the key places of her family members. She followed me to nearly every location I visited, as I was surprised by her statues nearly everywhere I turned. She was in every city, and every country. Her uniqueness, determination, and struggle to live the life of her desires truly inspired me from the very first moment I encountered Sisi. 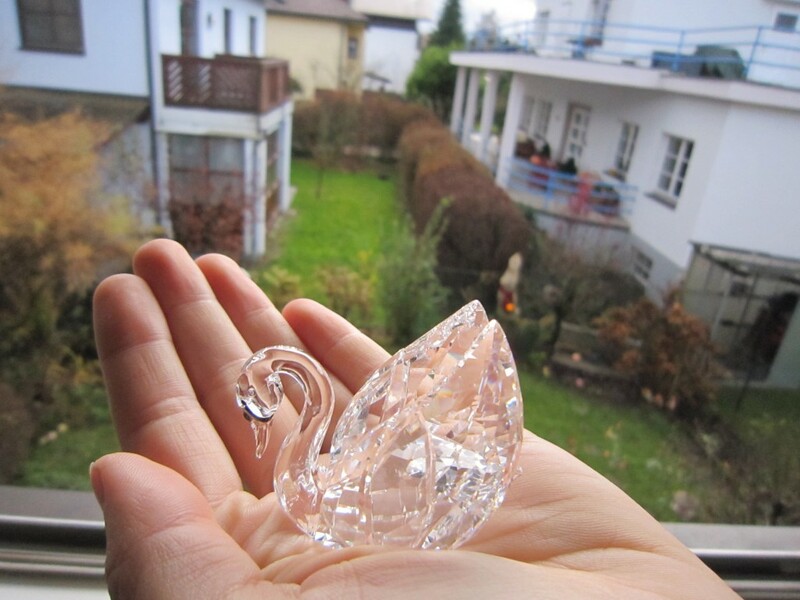 This beautiful swan reminds me again of the personal growth that I have undergone this semester. Beginning with my first day in London, beautiful white swans have accompanied me on all of my travels. I met them at Hyde park in London, fed a flock in Hallstatt and witnessed them fly noiselessly across the brilliant blue water, found them all over the walls of Neuschwanstein, ran into a few on a walk with Sybille in Salzburg, and saw a picture-perfect swan on a foggy fall pond from a bus window in Prague. Swans have now joined the ranks of my very favorite animals of all time! Some things I love: their elegance. Their brilliantly pure white color. Their silence. Their poise. The beautiful way they take to flight. How adorable their little dark gray baby swans are, and how they grow into pure white beauty. My former favorite animal was the cheetah– known for being fast and ferocious. These adjectives could perfectly describe my life up till now… far too fast and trying to do far too much. I am ready for a bit of new influence in my life. Perhaps, a bit of the silence, ease, and elegance of the swan. Leaving Salzburg, I got to experience the study abroad walk of shame: the long trek home with a freshly-purchased new suitcase (because I have acquired too many things to fit in my existing suitcases… and in my parent’s suitcases.. and in the extra duffel bag my mom packed along for me…). Sweaters and coats take up a lot of room, ok?? Enjoying schnitzel and good conversation with beautiful friends. I am leaving behind many pieces of my heart in Salzburg. I cannot wait to come back and feel welcomed by them again in the future.